1) Cornell University calls fennel drought tolerant and says that its flowers attract beneficial insects including bees, parasitic wasps and hoverflies. 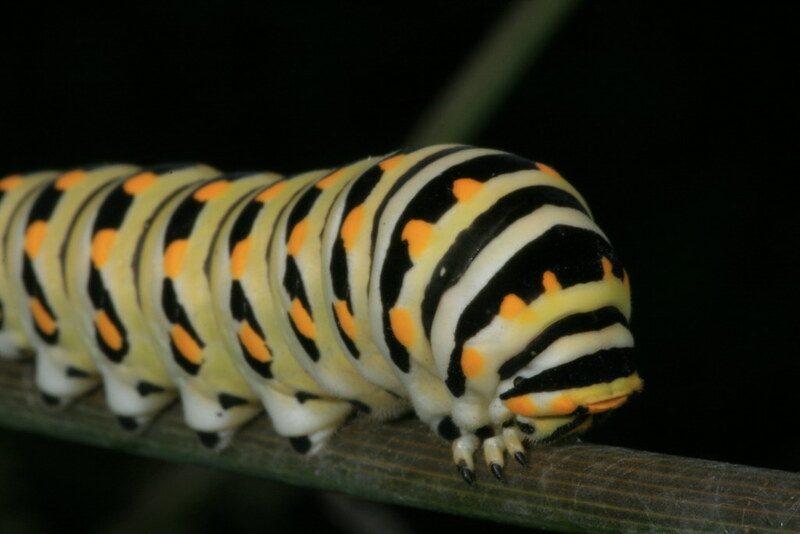 2) Cornell also notes that fennel serves as a host plant for swallowtail butterflies! 3) Fennel seeds reportedly have a sweet anise flavor and can be used for seasoning, while fennel leaves can be added to salads or used as a garnish. There are many sources on the Internet, including The Herb Society of America and Mother Earth Living, that provide advice on using Foeniculum vulgare in the kitchen. 1) Fennel is native to the Mediterranean and has become a seriously invasive weed in some parts of the world, including California and Washington. I would not recommend planting this herb on the West Coast, but I can't find any indication that it's running rampant in the Southeast. For instance, I don't see it on the lists of invasive plant species in Tennessee, North Carolina, Alabama or South Carolina. In general, before adding non-native plants to your garden, it's a good idea to do your own research, consult local experts and err on the side of caution if there's any indication that an exotic plant could disrupt native plant communities in your region. 2) Tempted to nibble something that looks like fennel? Keep in mind that fennel bears some resemblance to poison hemlock (Conium maculatum). As its common name suggests, poison hemlock is reportedly really, really poisonous. Per the USDA: "People may be poisoned by eating any part of a hemlock plant. Often, poisoning occurs after the victim confuses hemlock root with wild parsnips, hemlock leaves with parsley, or hemlock seed with anise. Whistles made from hollow stems of poison-hemlock have caused death in children." King County, Washington notes that the toxins in poison hemlock can even be absorbed through the skin. Please exercise caution and don't ingest anything unless you are certain you know the identity of the plant. Do you grow bronze fennel? If so, what has been your experience with this plant?